My grandparents passed away about 5 years ago. My family was cleaning out the attic and found this beautiful old clock. 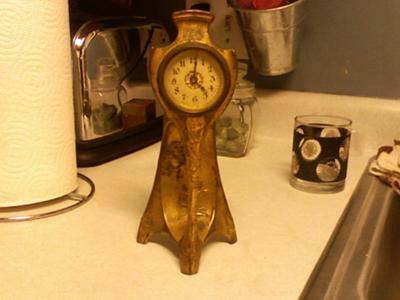 It has cherubs on it and the clock face said it was made at The Western Clock Mfg. Co., La Salle, Ill. USA. The back says it was patented on Oct. 28th 1902. That is all I know.